Trading forex needs money, but some traders doesn't have spare cash in their pockets for forex trading, others just wiped out their accounts recently and they don't have money yet to deposit to their account again, so when a forex broker offers a no deposit bonus for new clients, a lot of traders immediately grab the offer. FXOpen is one of these brokers who offer a no deposit bonus for new clients, this is there way of allowing new clients to test how good their platform is before the new clients deposit their own money. The good thing about this bonus is that you can claim it without verification of your account and you can withdraw all the profits you make from it. When choosing a forex broker, you must see to it that the broker is large enough to handle lumps of money and is able to put them in the safest place. The broker must be insured, offers tight spreads, quick response from customer support representatives, have been around for many years and have a lot of experience about this kind of service and FXOpen has all these. Read below to find out how you can claim their $10 welcome bonus. 1. Register an FXOpen e-Wallet and open an STP trading account. 2. Verify your mobile number. 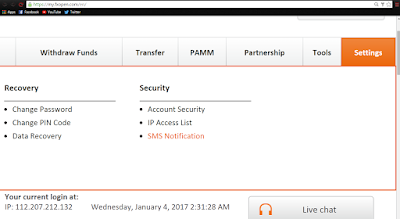 a. Click Settings on your Personal Area then click SMS notifications. b. Enter your mobile number then submit. c. Enter the four digit verification code you recieved. d. Check all the boxes you'll see, then click save. e. Enter the second code you receive then click Confirm. f. Login to your STP account on MT4 and you'll see the $10 bonus has already arrived. The bonus will be added automatically to the first STP account that you open. You can use the bonus for live trading and withdraw the profit received when the trading volume exceeds 2 lots. All closed trades are counted - both losing and profitable. As the title of this post says, you don't need to verify your account by submitting scanned copies of your ID and utility bill in order to recieve the $10 bonus, but you need to somehow verify your mobile number. This is FXOpen's way of ensuring that you're not a bot. - The bonus is paid once to your first trading account. You cannot withdraw the bonus, but you can withdraw any profit after trading a minimum of 2 lots. - There is no expiration date on the $10 bonus after you receive it. If you have questions, just leave them in the comments and I'll reply as soon as possible. *Risk Warning: Trading leveraged Forex and CFDs carry a high level of risk. Trade with caution and don't risk what you can't afford to lose. Forex Trendy is a state of the art application capable of detecting the most PROFITABLE continuation chart patterns. It scans through all the charts, on all time frames and analyzes every possible breakout. Before you try to make a living in Forex trading, you must have a main job first because it's so hard to make money in forex if your capital is small. Forex trading could be a sideline. If signals be dressed in 8767 t turn up by virtue of in a appropriate as an alternative in triumph communicated means, keep at bay those https://www.7binaryoptions.com signals providers. This is why deluge is appealing round control the unpaid research generation with reference to trial complete this out.